Maria Friedman directs a sparkling new production of Cole Porter's classic musical High Society at the Old Vic. Maria Friedman directs a sparkling new production of Cole Porter’s classic musical High Society at the Old Vic. Cole Porter’s glittering musical High Society gets a major new revival at the Old Vic Theatre in London. Olivier Award-winning actress and director Maria Friedman directs the show, following her acclaimed and award-winning directorial debut with Merrily We Roll Along. Cole Porter’s classy and sparkling musical is staged in the round at the Old Vic and promises to be one of the musical highlights of 2015. A sensational score includes classic numbers True Love, You’re Sensational, Well did you Evah! and Who Wants to Be a Millionaire? Based on classic novel The Philadelphia Story and the much-loved MGM movie starring Bing Crosby, Grace Kelly and Frank Sinatra, High Society features music and lyrics by Cole Porter, a book by Arthur Kopit, additional lyrics by Susan Birkenhead and is based on The Philadelphia Story by Philip Barry. The show’s musical direction is by Theo Jamieson, with sound design by Simon Baker. 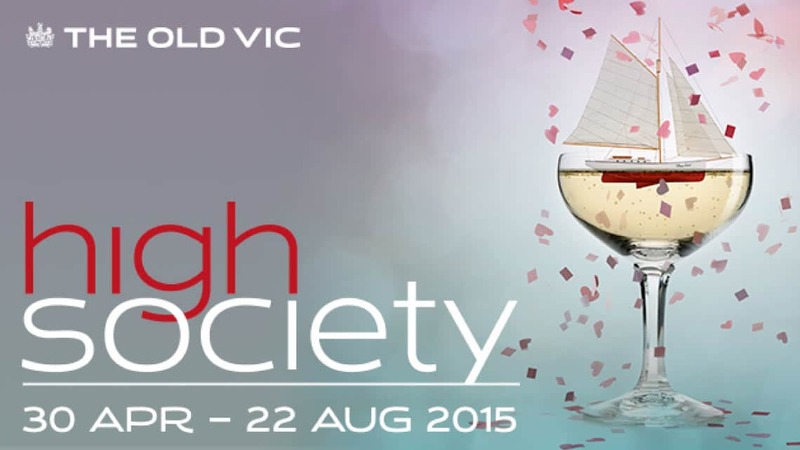 High Society runs from 30 April to 22 August 2015 at the Old Vic Theatre. Long Island socialite Tracy Lord is planning her lavish summer wedding when her ex-husband appears to try and win her back. His unwelcome arrival threatens to disrupt the glamorous proceedings. When tabloid reporter Mike Connor arrives to cover the nuptials, he too takes a shine to the bride-to-be. But which of these three suitors will she choose? 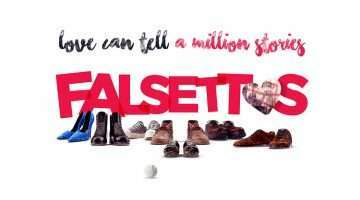 Kate Fleetwood, Barbara Flynn, Jamie Parker, Annabel Scholey and Rupert Young along with Ellie Bamber, Richard Grieve, Christopher Ravenscroft and Jeff Rawle. Hallows: Part One, The Golden Age and Vanity Fair. Television includes Inspector George Gently, Waking the Dead, Hustle, Foyle’s War, Midsomer Murders and Silent Witness. Barbara Flynn plays Margaret Lord. 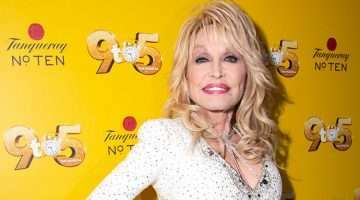 Her theatre credits include Versailles (Donmar Warehouse), Plunder, The Philanderer, Early Days, Antigone, Tales from Hollywood, King Lear, The Revengers Tragedy (National Theatre), The Bullet (Donmar Warehouse), Short List, The Perfectionist and An Experiment with an Air Pump (Hampstead Theatre), Sorry, Hamlet and Copenhagen (Sheffield Crucible). Barbara’s extensive television credits include Pat & Cabbage, Just Henry, Malice Aforethought and The Forsythe Saga all for ITV, Cranford Chronicles, 10 Days to War and The Line of Beauty for the BBC and The Queen and Tom Hooper’s Elizabeth I for Channel 4. On film, Barbara’s work includes Miss Potter, Cheerful Weather for the Wedding and Richard Eyre’s King Lear. Playhouse). Jamie’s television work includes Parade’s End, Silent Witness, Wire in the Blood and Foyle’s War, and his film credits include Le Weekend and the 2008 World War II thriller Valkyrie. Annabel Scholey plays Liz Imbrie. Annabel is best known for playing Lauren Drake in the supernatural BBC drama Being Human. Annabel’s theatre credits include Passion Play (West End), Antigone (National Theatre), Richard III (The Old Vic/BAM/World Tour), The Rivals (Theatre Royal Haymarket/UK Tour), Charley’s Aunt (Royal Exchange, Manchester) A Midsummer Night’s Dream (Rose Theatre, Kingston), The House of Special Purpose, Wallenstein and Hobson’s Choice (Chichester Festival Theatre), Hamlet, The Taming of the Shrew (Bristol Tobacco Factory), Troilus and Cressida (RSC/Kings Theatre/Edinburgh International Festival), and Chekhov’s The Cherry Orchard (Sheffield Crucible). Annabel’s television work includes Jane Eyre, Eastenders and Holby City, and her film credits include Harry Potter and the Deathly Hallows, Part Two and, most recently, the feel-good 2014 film Walking on Sunshine. Ellie Bamber plays Dinah Lord. Ellie recently played Lydia Bennett in the film Pride and Prejudice and Zombies directed by Burr Sheers. She also appeared in the BBC film The Falling, which premiered at the 2014 London Film Festival. Ellie’s television appearances include The Musketeers (BBC) and A Mother’s Son (ITV). 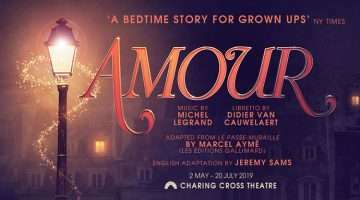 Last year she appeared as Young Jenny in Andrew Lloyd Webber’s Aspects of Love at the Menier Chocolate Factory, directed by Trevor Nunn. Rupert Young plays C.K. Dexter Haven. His theatre credits include Tonight at 8.30, Noel Coward’s cycle of ten one-act plays (Nuffield Theatre and Tour), Stephen Sondheim’s Company (Southwark Playhouse), Afterlife, Never So Good (National Theatre), Cymberline, Twelfth Night and HMS Pinafore for the New Shakespeare Company at Regent’s Park Open Air Theatre. Rupert’s television credits include Merlin, The White Queen, Hotel Babylon, Shameless, Primeval, Foyle’s War, Heartbeat and Doc Martin. Richard Grieve plays George Kittredge. He is best known for his regular television roles of Jonny Foster in Emmerdale, Sam Kratz in Neighbours and Dr Lachlan Frazer in Home and Away. 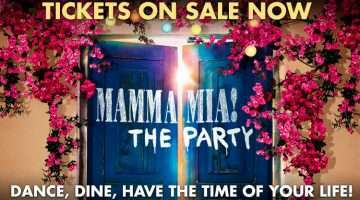 Richard played Bernadette in Priscilla, Queen of the Desert for the UK Tour having previously played Tick/Mitzi In the London production at the Palace Theatre. Christopher Ravenscroft plays Seth Lord. Christopher has an extensive list of theatre credits including Dances of Death (Gate Theatre), Good Grief, Portrait of a Lady, Doll’s House (Bath Theatre Royal), The Talented Mr Ripley (Theatre Royal Northampton), Comedy of Errors (Regents Park Open Air Theatre), Summer and Smoke (Apollo Theatre), Macbeth (RSC) and is a regular on stage at the Orange Tree Theatre having performed in The Man Who Pays the Piper, The Stepmother, The Conspirators, The Promise and Alison’s House. Perhaps best known for his recurring role as DI Mike Burden in The Ruth Rendell Mysteries, Christopher’s other television credits include The Shell Seekers, Mile High and The Courtroom. Film credits include The Man Who Knew Infinity, The Football Factory and Henry IV. Jeff Rawle plays Uncle Willie. Most recently Jeff starred as Dennis Thatcher/Ronald Reagan and others in Moira Buffini’s Handbagged (West End and Tricycle). 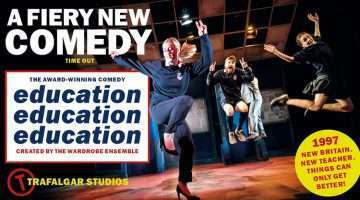 For the National Theatre Jeff appeared in Cocktail Sticks, The Power of Yes, Fram and Noises Off (also Tour and West End). 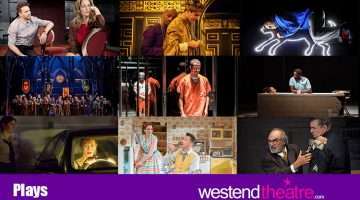 Other theatre includes King of Hearts (Out of Joint), Bottle Universe (Bush Theatre), Way to Heaven (Royal Court), Releevo (Soho Poly Theatre), Excellent Choice (Eye Saw Theatre), Butley (Fortune Theatre). Regionally he’s appeared in productions of Marine Parade (Brighton Festival), Neville’s Island and Queerfolk (Nottingham Playhouse), Reluctant Heroes (Churchill, Bromley), and The Caretaker (Thorndike Theatre). His on screen credits include The Redistributors, Trimming Pablo and Harry Potter and The Goblet of Fire, The Outcast, 88 Keys, You, Me and Them, Heading Out, Hollyoaks and Midsommer Murders. Maria Friedman (director) is an award winning actress and director. 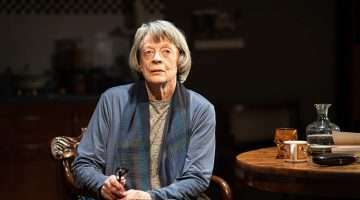 Her production of Merrily We Roll Along won the Olivier Award winner for Best Musical Revival, and the Critics’ Circle and Evening Standard Awards for Best Musical and enjoyed hugely successful runs at the Menier Chocolate Factory and the Harold Pinter Theatre. 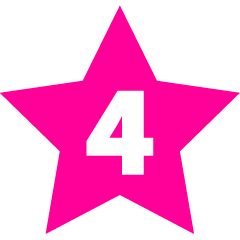 The show also received more five-star reviews than any West End show in history. Maria’s performing credits include Fosca in Sondheim’s Passion (Olivier Award for Best Actress in a Musical); Mother in Ragtime (Olivier Award for Best Actress in a Musical); Maria Friedman, by Special Arrangement at the Donmar Warehouse and Whitehall Theatre (Olivier Award for Best Entertainment); and Chicago, Sunday in the Park with George, Lady in the Dark, and The Woman in White. Why book High Society tickets with us? 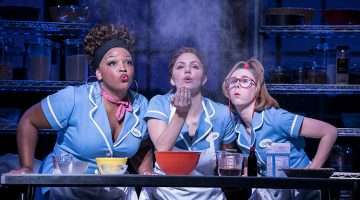 I have read other reviews anbd wonder if we all saw the same musical. It was wonderful. From the start, with Stilgo getting us in the mood and encouraging us to relax and join in, to the smallest parts of the ever enthusiastic waiters and staff,Just watch Barbara Flynn – not a huge part at all – but her expressions were a joy ! it was all a complete joy. 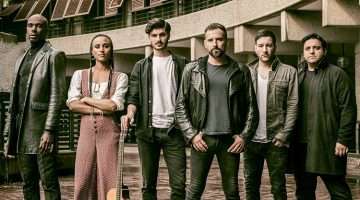 The energy and skill from start to finish from the whole cast made this musical a resounding success and I left the theatre as breathless and exhausted as they must have been ! I would like to purchase a copy of the High Society poster with the glass of champagne. Is there any way I can do this? I couldn’t agree less – saw this last night and loved it. Gypsy at the Savoy is brilliant , High Society at the Old Vic is the opposite. The worse thing I have seen on a London stage for a very long time, thank god a I didn’t order an interval drink !